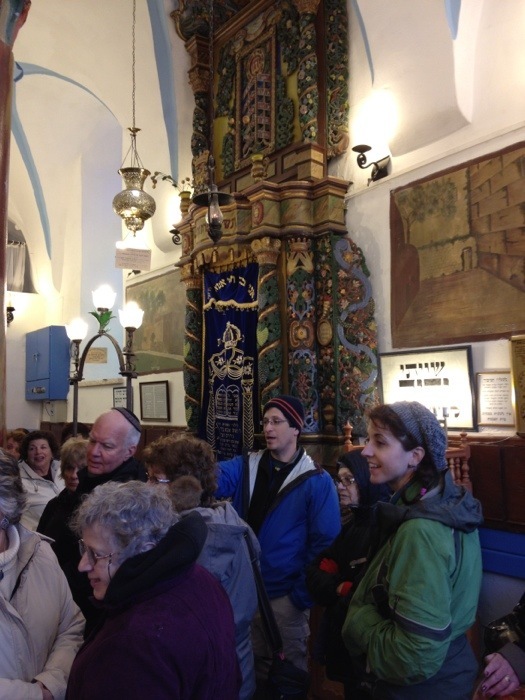 Safed / Tzvat is a mystical city, the seat of Kabbalah and Jewish mysticism. 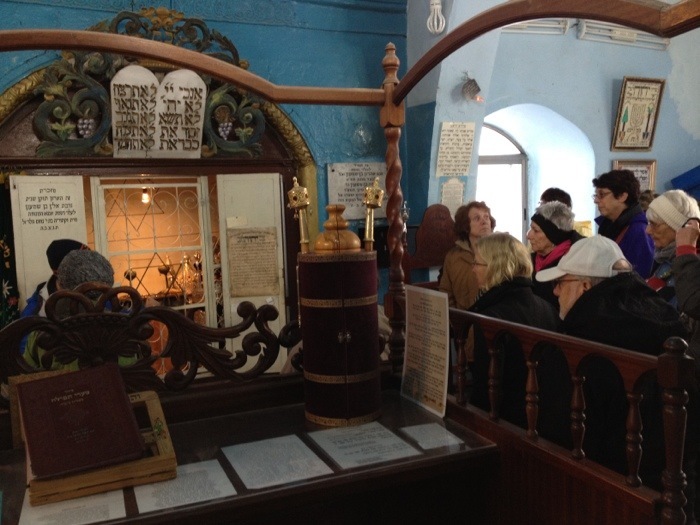 We came to view the Caro and Ari synagogues and learn about the origin of our prayer welcoming the Shabbat – the Lecha Dodi we say on Friday nights. 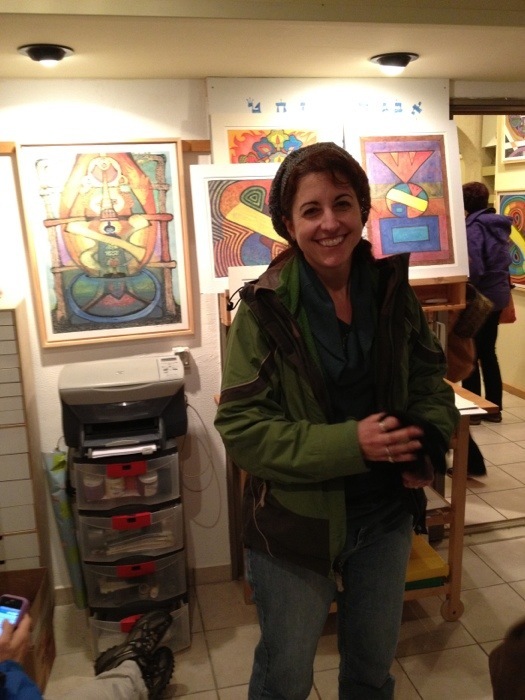 We also of course had some time to pick up some food or coffee or works of art and of course it was raining. It was pouring very hard when we first arrived but miraculously when we came out of the Caro Synagogue there was a break in the clouds with blue sky showing. Alas, it didn’t last long and while it did stop raining, it was still pretty cold. 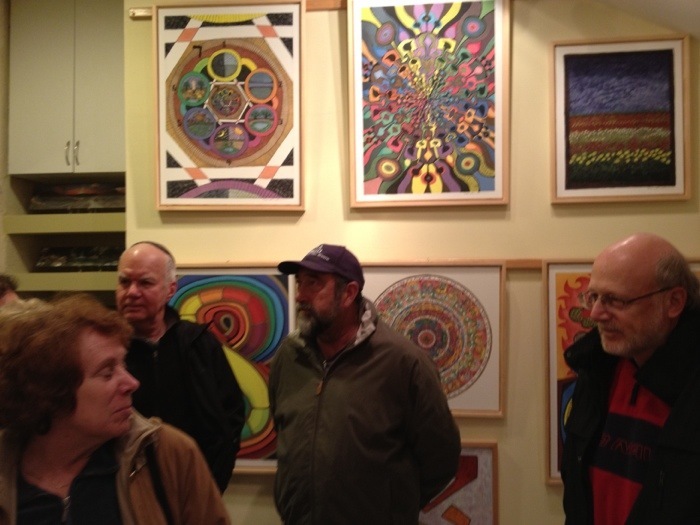 We are now in the home and studio of David Friedman where we are learning about his art and connections to Kabbalah. Even though it’s cold and rainy, you all look like you’re having a great time. You all were brave getting in the Dead Sea in winter!!! 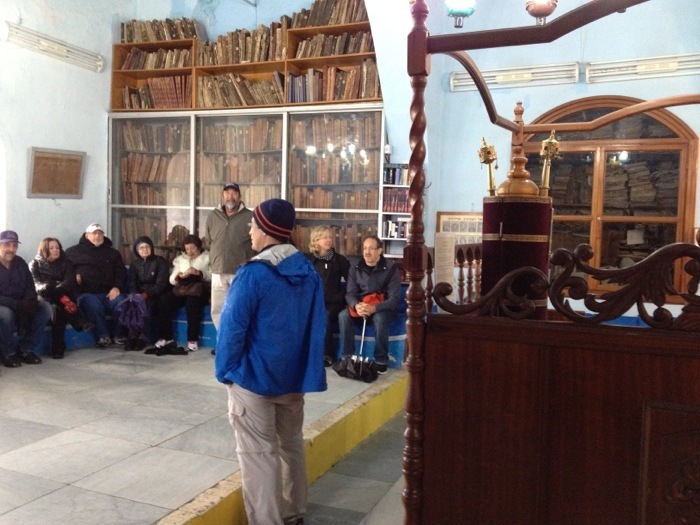 Loved the group pic at Beit Sha’en (sp? ).